If you have a disagreement with your landlord you can apply for a hearing to settle the matter. Both parties will have a chance to tell their side of the story at the hearing. You will be told what decision was made in your case. In other cases, your landlord may think that you are not living up to your responsibilities as a renter. A good place to start is to discuss the situation with your landlord. You can tell your landlord what the problem is and what you want to be done about it. If your landlord has a problem with something you have done, you could suggest a way to deal with the situation. If you cannot reach an agreement either of you can ask for a hearing. Hearings are handled by the Office of Residential Tenancies. The person who wants the hearing must apply for it and generally pay a fee. They will be given a notice of hearing that states the time and place of the hearing. The person applying for a hearing must complete the notice of hearing. They write down what they think the other person has done wrong and what they want to be done about it. The Office of Residential Tenancies can help people fill out these forms. The other person must be given a copy of the notice. This can be done in-person, by mail or by electronic means, such as email, fax or text. If you are still living in your place, and your landlord has asked for a hearing, a notice must also be posted on your door, unless you are served in-person. On the day of the hearing you present your side. You also reply to anything your landlord brings up. You can have witnesses, documents or photographs to support what you are saying. For example, you could bring a dated notice of rent increase to show that it was not given to you early enough. Hearings can be held in-person, by telephone or other electronic means. After the hearing, a hearing officer will take some time to consider the case and then make a written decision about your case. The hearing officer can make any order that they think is fair. 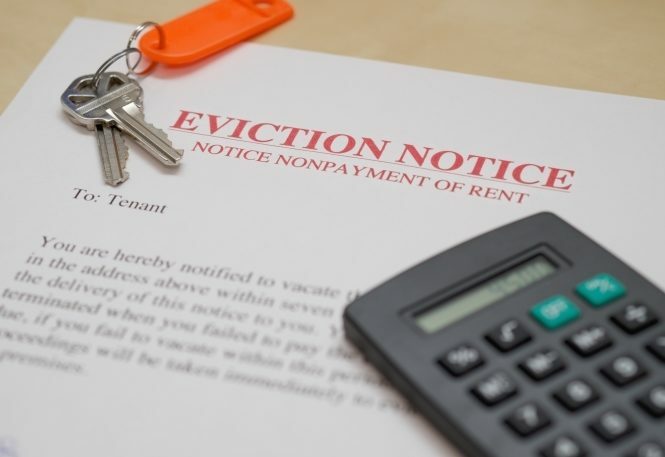 The order could reduce your rent if you did not receive enough notice of a rent increase, decide how a security deposit should be dealt with or require you or your landlord to make certain repairs. For more detailed information about hearings and preparing for hearings, see the Government of Saskatchewan’s Settling Disputes and Steps to a Hearing page.